Helpful review for those of us who guessed Schama's work would be tosh. The fact that Linda Grant and David Aaronovitch appeared excited about Schama's latest effort should set alarm bells ringing. But in fairness to Schama his book/tv series is called The Story of the Jews, not the History. Of course, "The" is an unjustified boast. "A" would have been more appropriate as with Ilan Halevi's "A History of the Jews Ancient and Modern". In fact Schama's effort should be called, Just Another Story of the Jews then even the unsuspecting might not take it seriously. But the word story should be a clue to the fact that his book/series isn't history as such. I saw the programme and was outraged. Thank you so much for telling it like it is. I think the point Mark is that it was presented as history not just a fairy tale. 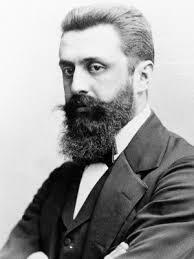 It asserted as fact what is a myth that has grown up around Herzl, viz. 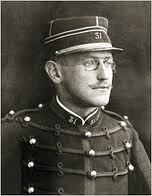 that he was motivated by Dreyfus when in fact he wasn't at all bothered. It is just the kind of shoddy biased behaviour one expects from the BBC. I think whether it is called 'a' or 'the' is frankly irrelevant. Most people who watched it would assume that it was true and that the conclusions the Zionists drew, viz. that Zionism was the only solution was also correct. I hope this gets printed because what I'm going to say about you Greenstein is that you are the worst sort of Jew. The Anti-Semitic Jew. Please remove anti-racist from your byline because you are a liar. You and people like Fry, Thompson, Margolyes, Waters and Nigel Kennedy are so filled with hatred for the state of Israel that you can't admit to yourself that that because of this hatred it makes you all anti semites. 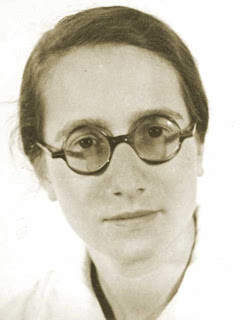 But the fact that the French police notoriously was more than overactive in the collection of French jews for deportation, and that people even boasted they knew better than Germans what to do with Jews is certainly another aspect of French Jew hatred. So is the highly famous Céline. The saving of French Jews has more to do with the French protestants from the Cevennes. There were massive differences in the political atmosphere in France. The Resistance had a lot of Jews in it and of course it was dominated by the Communists. The Nazis had a military government which wasn't very sympathetic to the Gestapo's Jewish department. Thousands of Jews lived openly in Paris during the war. Thousands more were sheltered in convents and monestries. Vichy France did provide protection for French Jews. Those who were at most risk were Jewish refugees who make the bulk of those deported. Vichy refused to allow the removal of citizenship from Jews and there was a strong reaction against any such attempts, even by Laval. The only 'Jew hatred' I know of comes from Zionists, who detested Jews in the diaspora 'the negation of the diaspora'. The German Zionists actually welcomed the Nazis as the fulfilment of everything they had wanted, ie preservation gainst 'assimilation' which was always Zionism's main enemy. You are wrong re the saving of Jews in France had more to do with the Protestants. I don't know where you get your false information from but its a figment of an overfertile Zionist imagination. E.g. the Archbishop of Tolouse in August 1942 instructed from his pulpit the clergy to protest against the deportations. Laval complained to the papal nuncio Rocco and threatened to drag Jews in hiding in French churches out. 'Laval expressed his surprise that the Church was so adamant in its attitude.' [Hilberg, Destruction of European Jews pp. 682/3. And when the deportations began such was the opposition that the train from Bordeaux on July 15 1942 had to be cancelled causing Eichmann to threaten to have nothing more to do with France! The French Judenrat, UGIF, which was divided into north and south, led as always by Zionists, was ignored and where necessary attacked by the Resistance, so these collaborators were never able to assist the Nazis unlike in the Netherlands where the Zionist controlled Judenrat was responsible for providing the lists and enabling the deportation of 75% of the Jewish community. And the Italians, who occupied the Southern Zone not only refused all attempts at deportation but helped Jews from the rest of France to escape, when the Nazis occupied the Vichy too. But 75% of French Jews survived. 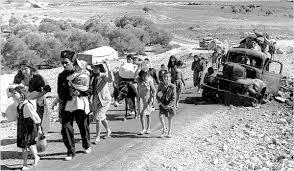 Unlike in Hungary where the Zionists did their best to help ensure the deporation of the community (in return for a train out of Hungary with the Zionist and bourgeois leaders on it). The Nazis were very wary of disturbing French society, with their admiration for Paris and a desire not to tie up military resources in policing the occupation. Those most at risk were stateless foreign Jews not French Jews.